La vie Jaime : Rufflicious & PB Teen Natick Pop-Up Shop! Rufflicious & PB Teen Natick Pop-Up Shop! To celebrate the opening of their first ever pop-up shop in the local Natick Mall, PBTeen graciously sent me this amazing 'Rufflicious' quilt. When it arrived, I knew it would go perfectly in my room of gray, yellow, & black + white. The quilt was huge and engulfed me for one of the best and coziest night's sleep I've had in a while! 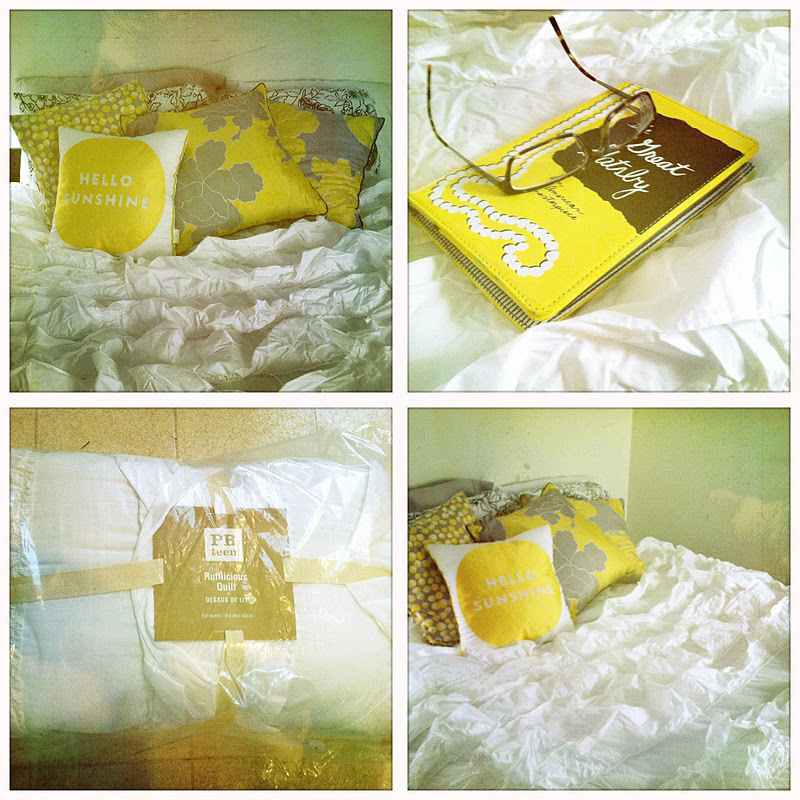 Thanks, PBTeen for perking up my bedroom! All you Bostonians, visit the PBTeen pop-up shop in the Natick Mall open November through February. PS: I have my eye on a few other items...girls classic robe (with a J), sparkly sequin pillows, and dress frame jewelry holder. Whaaaat!! Was obsessed with PBTeen for so long, NEED to check out this pop-up shop!